Today and tomorrow, the Open Government Partnership London Summit 2013 is happening. Very nice map of foursquare check-ins and MapBox Streets. Thanks to @adenas for the information. Click on image below to go to the site. 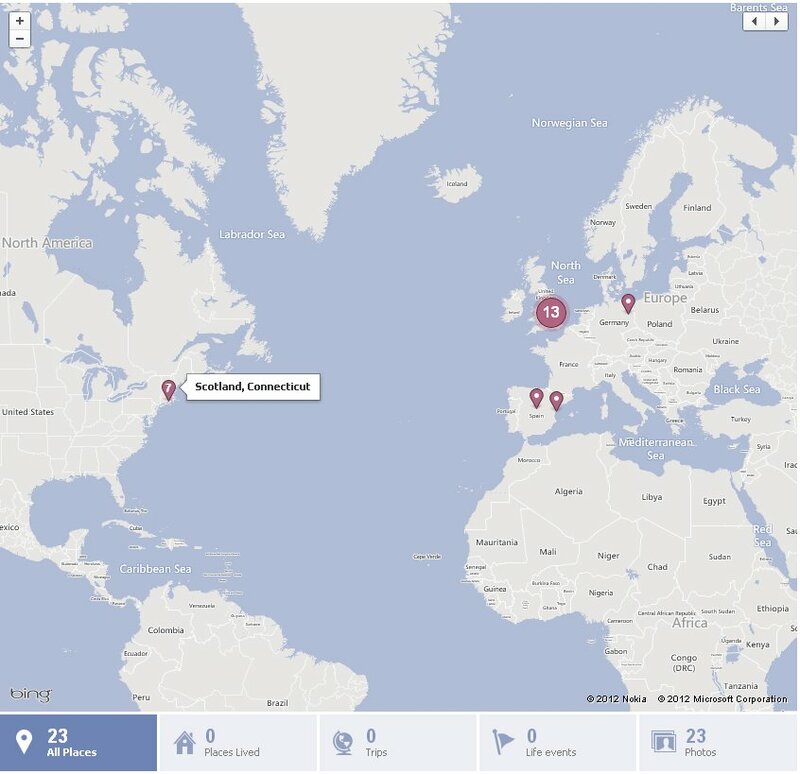 I logged into Facebook today for the first time in a long time, and some of my photos have been geocoded to the Places map. This looks nice I guess, until I see that our trip to Scotland in 2008 has been placed on the East Coast of the USA in the Connecticut city of…..Scotland! Obviously Facebook has my home location a bit confused. But a country should come before a city in any case!